We are looking for a client-focused individual with experience of advice work with a specific focus on housing issues, money and debt and welfare benefits to join us as an Adviser and provide vital advice to our clients in the Glasgow area. Our advice and support Hubs located in Glasgow, Dundee, Aberdeen and Edinburgh provide a range of services, including money and debt advice and legal advocacy and representation. There are also support services in Glasgow, Dumfries and South Lanarkshire delivering housing support for vulnerable people and families who are homeless and a dedicated service working with Young Runaways in Tayside. In addition, we have services focussing on specific client groups such as prisoners, older people and veterans, as well as a free telephone helpline. This particular role is based at our Glasgow hub. As an Adviser, we&apos;ll rely on you to deliver a professional, impartial, pragmatic and outcome focussed service to our clients whilst working to Shelter Quality Standards. Day-to-day, you&apos;ll be providing advice on all areas of housing law, homelessness, money and debt and welfare benefits and specialist casework related to these areas. You&apos;ll also get to undertake work on aspects of complex advocacy cases. Contributing to local and national policy and practice development will be important too, as will representing clients at reviews, tribunals and appeals, with relevant training provided if needed. Conducting initial interviews, agreeing clients&apos; needs, writing case plans and keeping accurate records - all are part and parcel of this interesting and varied role. Benefits include 30 days&apos; annual leave (pro rata), the possibility of flexible working, enhanced family friendly policies and significant opportunities for learning and development. Apply to be part of our award-winning team and be the change you want to see in society. To find out more about the role and the benefits of working for Shelter please visit our website. Safeguarding is everyone&apos;s business. 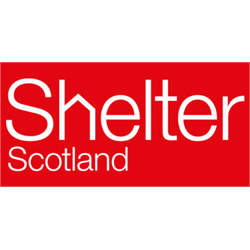 Shelter Scotland is committed to protecting the health, wellbeing and human rights of those we support, and enabling them to live free from harm, abuse and neglect. All our staff will be expected to observe professional standards of behaviour and conduct their work in line with our Safeguarding Policies. Providing a home for up to 20 people affected by homelessness, the Village was founded by Social Bite who partnered with Cyrenians to provide the on-site housing support. 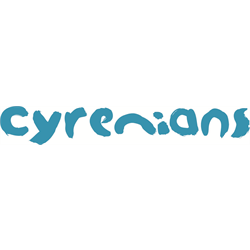 Cyrenians pioneered community living almost 50 years ago and our model and values-led ethos is still relevant today. The purpose of the village is to offer a person-centred approach that supports Community members to live, learn and develop together. This is a new role and requires a highly motivated and dynamic individual who has experience of supporting people who have been directly affected by the tough realities of homelessness. You will be passionate about enabling potential and supporting residents to identify key goals on a journey towards positive change and independent living. We are looking for an extremely personable individual who has the ability to create a positive environment which encompasses a range of engagement opportunities. You’ll remain calm in a crisis and positively influence others. You’ll also be highly organised with the ability to manage a busy workload and varied responsibilities, and be able to demonstrate Cyrenians values of compassion, respect, integrity and innovation in the work that you do. The purpose of the village is to offer a person-centred approach that supports Community members to live, learn and develop together. Night Community Builders will enable evening participation with residents. This role requires a highly motivated and dynamic individual who has experience of supporting people who have been directly affected by the tough realities of homelessness. You will be passionate about enabling potential and supporting residents to identify key goals on a journey towards positive change and independent living. We are looking for an extremely personable individual who has the ability to create a positive environment which encompasses a range of engagement opportunities. You’ll remain calm in a crisis and positively influence others. You should also be able to demonstrate Cyrenians values of compassion, respect, integrity and innovation in the work that you do. We are looking for an extremely personable individual who has the ability to create a positive environment which encompasses a range of engagement opportunities. You’ll remain calm in a crisis and positively influence others. You’ll be highly organised with the ability to manage a busy workload and varied responsibilities. You should have staff management experience and be able to demonstrate Cyrenians values of compassion, respect, integrity and innovation in the work that you do. The Development Officer is responsible for creating, organising and delivering intergenerational training and resources, planning and supporting a new school pilot, developing and maintaining five local networks in which you will support members and organisations to raise their knowledge and confidence levels around how to connect generations through intergenerational work. GWT support 18 local networks covering Scotland from the Scottish Borders to the Highlands & Islands and consist of a mix of community and public service groups/people that currently use or want to learn how to use intergenerational approaches to address the challenges of our ageing society and for the benefit of local communities and the people who live there. Two further networks involve our international members and researchers & academics. 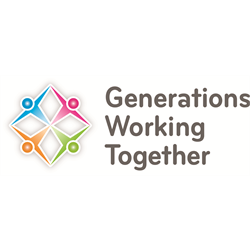 Network meetings provide members and interested parties at a local level an opportunity to exchange information on intergenerational practice; share good practice and knowledge, create and maintain new partnerships and thereby help strengthen community links. Each network meets between 2 – 3 times each year.